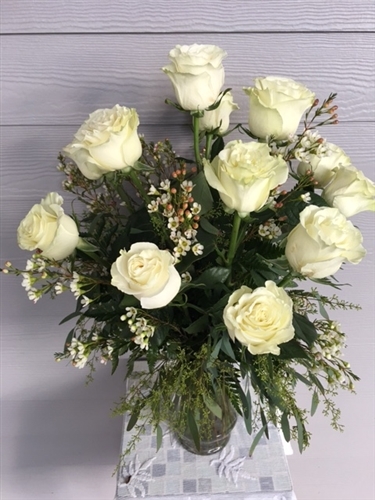 A dozen of our most favorite creamy white roses, accented with waxflower. The name of these roses "Mondial", is a larger rose and opens beautifully. Waxflower has a light fresh scent. Very showy!